Samsung recently launched their Samsung Galaxy S4 smartphone in the US, the handset is available with a number of carriers, one of those is Sprint, and now the company has released their first over the air update for the handset. 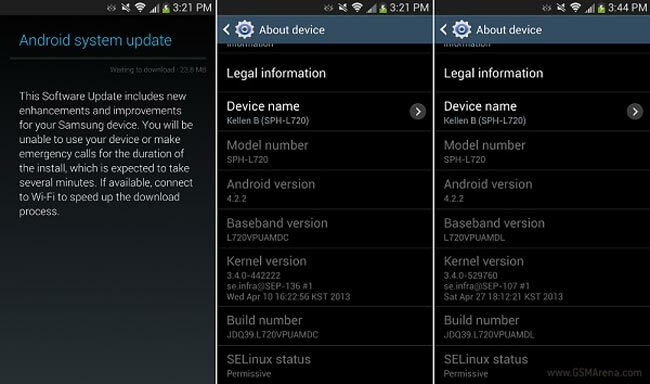 The OTA update for the Sprint Samsung Galaxy S4 is around 24MB in size, and it takes the handsets software to build L720VPUAMDL, there are no details as yet on exactly what is included in the update. You can check to see if the OTA update is available for your Samsung Galaxy S4 on sprint by going to Settings > More > System update on your handset.